Irish Wolfhound, CH Howlin's Praline BN RA NAP MJP CGC TKN at the 2017 AKC Agility Invitational, Orlando, FL. Handler David Berzins, December 2017. 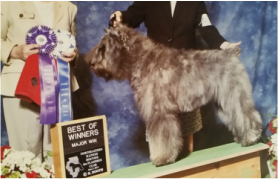 Bolton, (Bouvier des Flandres), owned by CKC member Yvonne Nobile, wins a major and Best of Winners at at Northeastern Illinois Regional Specialty. 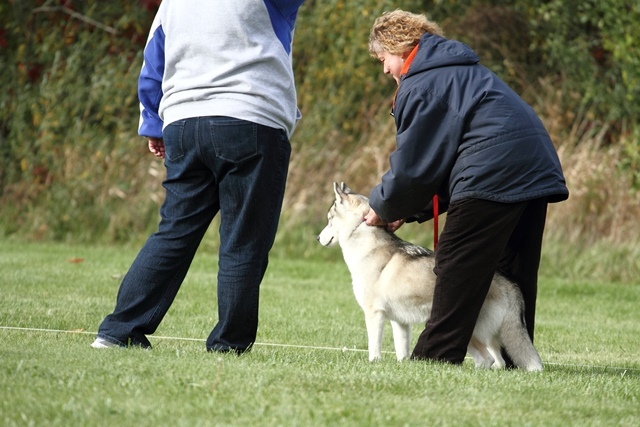 Bolton was handled by club member Pam Leichtham. 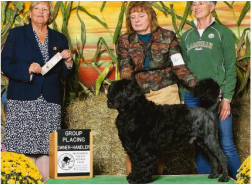 Sailor (Portuguese Water Dog) GCH AKC/UKC CH SafeHarbor South Shore Sailor, NAJ, NA, OA, CGC, owned by CKC Club members Fran Aring and Wendy Anderson; shown by Wendy Anderson going BOB & Group 4 at Manitowoc County Kennel Club. 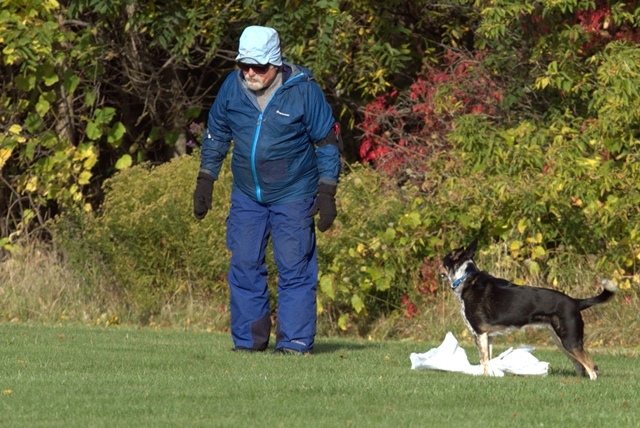 Maggie (Doberman Pinscher), owned by member Emily Dombrowski finishes her Companion Dog Excellent (CDX) on November 29. Chi-chi (Clumber Spaniel), owned by member Ricky Adams, finishes her Canine Good Citizens (CGC) at the CKC event in November. Handler - Don Adams. Irish Wolfhound CH Howlin's King Cake CD BN RE AJP CGC TKN getting his Rally Excellent Title. Irish Wolfhound CH Howlin's King Cake CD BN RE AJP CGC TKN getting a Q in Rally Advanced. Irish Wolfhound CH Howlin's King Cake CD BN RE AJP CGC TKN getting his 1st Q in AKC Scent Work Novice Interior.